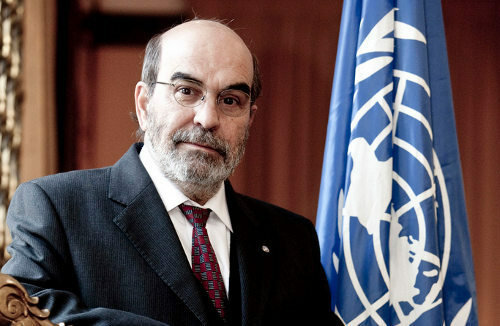 José Graziano da Silva is Director-General of the Food and Agriculture Organization of the United Nations (FAO). ROME, Nov 7 2016 (IPS) - Migration is part of the process of development. It is not a problem in itself, and could, in fact, offer a solution to a number of matters. Migrants can make a positive and profound contribution to the economic and social development of their countries of origin, transit and destination alike. To quote the New York Declaration, adopted at the UN Summit on Refugees and Migrants on 19 September, “migrants can help to respond to demographic trends, labour shortages and other challenges in host societies, and add fresh skills and dynamism to the latter’s economies”. So far this year, already more than 320,000 people have crossed the Mediterranean in search of a better future. Thousands have lost their lives doing so. Those that have survived face uncertain prospects at their destinations. Many are confronted with hostility and inhumane new realities. Migrants and refugees are often perceived negatively in their host communities, deemed to “steal’’ jobs and drain financial and social services. At personal and collective levels, this creates a certain sense of disquiet. Tighter border controls are not the solution. They have instead resulted in more deaths at sea and more human rights violations. Without adequate policies that respond to migrants’ need to leave and that offer accessible, regular, safe and affordable avenues for migration, countries risk being left alone to deal with very complex challenges, possibly falling into chaos and disorganization. In many cases, this translates into the adoption of less than desirable informal solutions, where the risk of abuses of the rights of migrants and asylum seekers is high. What has been happening in the Jungle camp near Calais in France shows that the most vulnerable, such as unaccompanied children, are those most at risk. The challenge is huge. If we do not act in a timely manner, tensions will only rise further. We need to address the root causes behind large movements of migrants and refugees, bringing together humanitarian and development responses. We also need channels for regular migration, facilitating migrants’ integration and contributions to development. FAO argues that investing in sustainable rural development, climate change adaptation and resilient livelihoods is an important part of the solution, including in conflict-affected and protracted crisis situations. Forty percent of international remittances are sent to rural areas, indicating that a large share of migrants originate from rural locations. Globally, three-quarters of the extreme poor base their livelihoods on agriculture. And by 2050, over half of the population in least developed countries will still be living in rural areas, despite increased urbanisation. Agriculture and rural development can help address the root causes of migration, including rural poverty, food insecurity, inequality, unemployment, and lack of social protection, as well as natural resource depletion due to environmental degradation and climate change. Agriculture and rural development can create sustainable livelihood options in rural areas. This kind of support can also help prevent the outbreak of conflicts over natural resources, and help host communities and displaced people cope with and recover from shocks by building their resilience. Youth deserve particular attention. One-third of international migrants from developing countries are aged 15-34, moving mainly in search of better employment opportunities. By making agriculture a sustainable and attractive employment option and developing food value chains, millions of new and better jobs could be created. Together with its partners, FAO supports global and country efforts on migration, bringing its specialized expertise on food security, resilience-building and sustainable agriculture and rural development. It does so by generating data on migration and rural development, supporting capacity development at country and regional level, facilitating policy dialogue and scaling-up innovative solutions to enhance agriculture-based livelihoods, social protection coverage and job opportunities in rural areas, as well as to build resilience in protracted crisis situations. Since 2014, FAO has been a member of the Global Migration Group (GMG). The GMG has played an important role in coordinating inputs from different UN agencies for the process of intergovernmental negotiations that led to the adoption of the New York Declaration during the UN Summit on Refugees and Migrants. GMG will assume the same role in preparation of the adoption of the Global Compact on Refugees and the Global Compact on Safe, Orderly and Regular Migration by 2018. FAO stands ready to lend its technical expertise and share best practices, to ensure that the need to address the root causes of migration, including from rural areas, is taken into account in major global fora. FAO will also enhance the collaboration with key partners in the area of migration and development, at global, regional and country level. In this regard, FAO is discussing ways to foster country-level collaboration with the International Organization for Migration (IOM). Note on the terminology: FAO uses the term migration to refer to the movement of people, either within a country or across international borders. It includes all kinds of movements, irrespective of the drivers, duration and voluntary/involuntary nature. It encompasses economic migrants, distress migrants, internally displaced persons (IDPs), refugees and asylum seekers, returnees and people moving for other purposes, including for education and family reunification.